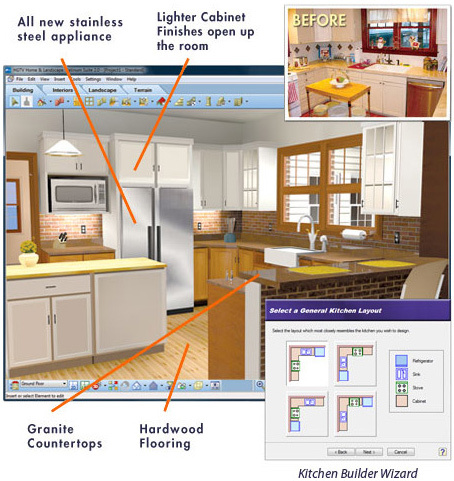 Want to update your kitchen? Considering a small project like refinishing cabinets or a totally new space comple8te with granite countertops, hardwood floors, stainless steel appliances and more? Whatever size project you have in mind, Virtual Architect’s software gives you the easy yet powerful creative tools needed to turn your dreams into reality today!